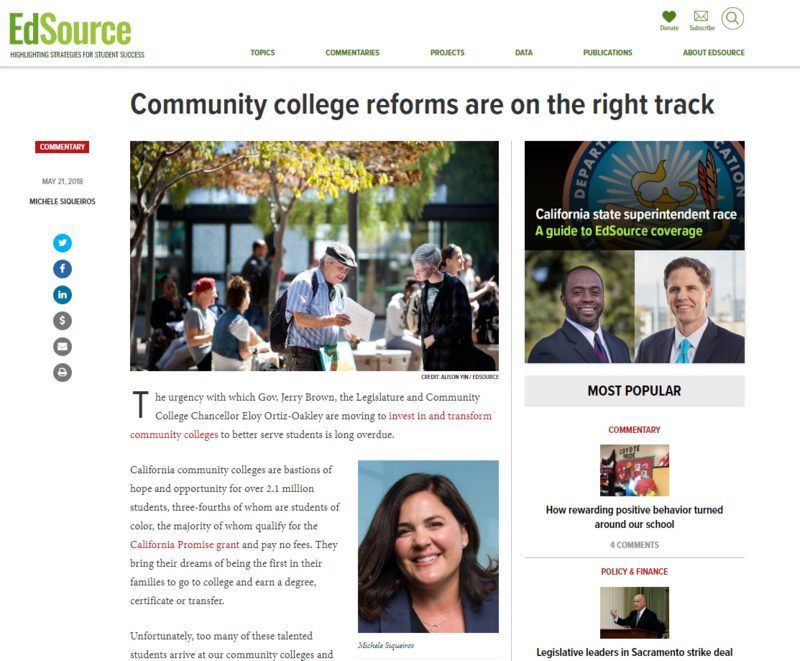 For decades, California’s community colleges have been funded based on how many students they enroll, but failed to ensure that the community colleges prioritize student success, improve outcomes, or close equity gaps faced by Latinx, African American, Asian American, Native Hawaiian, Pacific Islander, and low-income students. 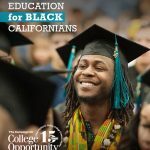 Without better strategic investment in critical student supports, large racial/ethnic gaps will continue, poor completion rates will persist, and California’s future well-being will remain in peril as the aspirations of millions of community college students go unfulfilled. 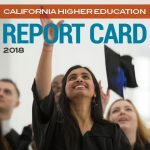 In a system that serves as the gateway to opportunity for more than 2.1 million community college students every year, a system in which far too many students languish for far too long, and in which 52% will fail to achieve a certificate, degree, transfer or reach their college dreams within six years of enrollment—we knew something had to be done. 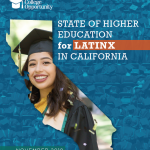 We knew that when 6 in 10 Black and Latinx students don’t get the support they need from their community college to complete a certificate, degree or transfer within six years, there was a moral imperative to move towards a more Student-Centered Funding Formula today. 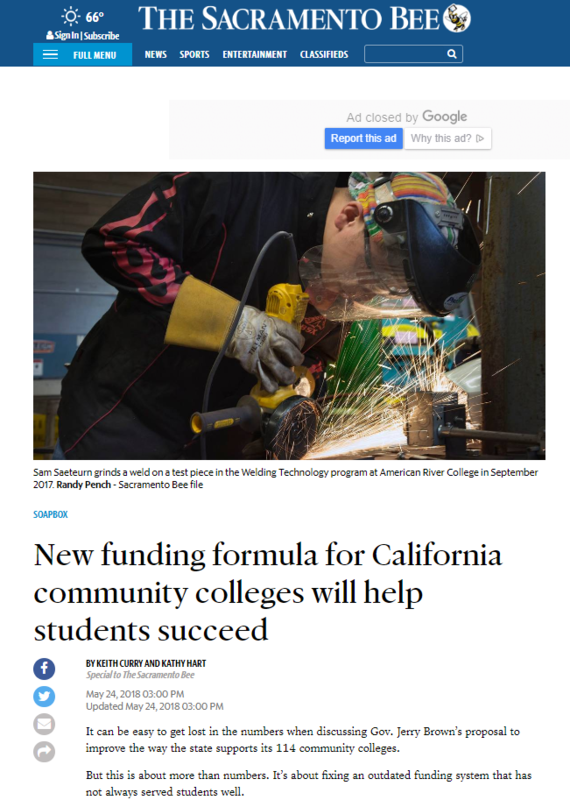 This past June, Governor Brown and lawmakers answered the urgent call to do better by our students by adopting a historic student success funding formula for California Community Colleges. 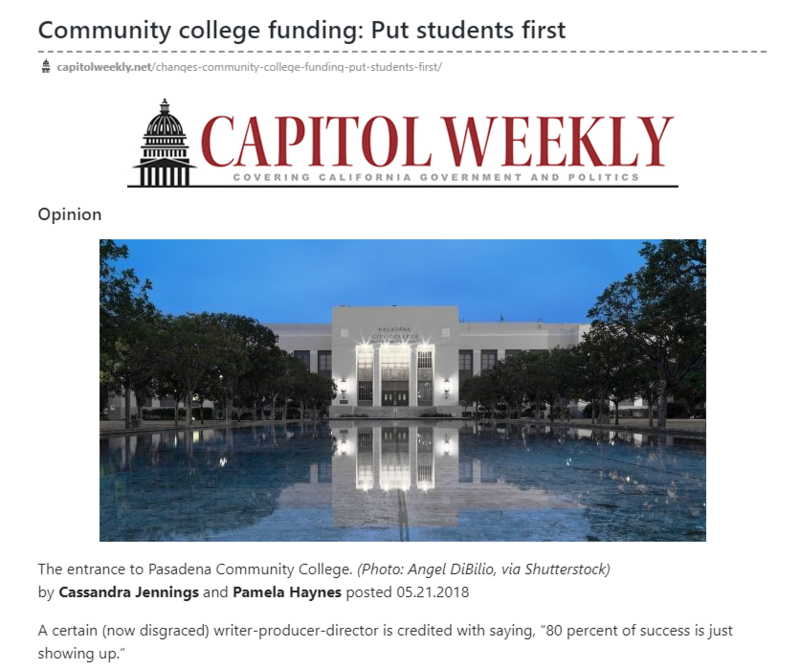 For the first time in California’s history, the funding model for community colleges puts students success on par with student access. 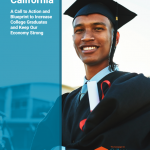 To learn more about the Campaign for College Opportunity’s efforts to significantly improve the Governor’s original proposal to include clear equity markers, click here. 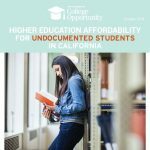 To learn more about the 2018-2019 Budget Act Student Success Funding Formula, watch the co-hosted webinar below by the Campaign for College Opportunity and the California Community College Chancellor’s Office. Students are speaking up in support! 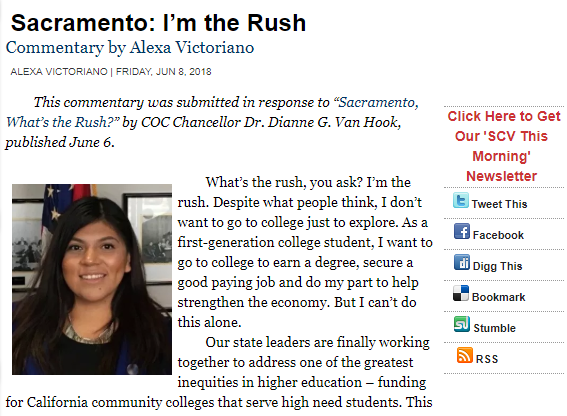 Read what students are saying about the Governor’s proposal. 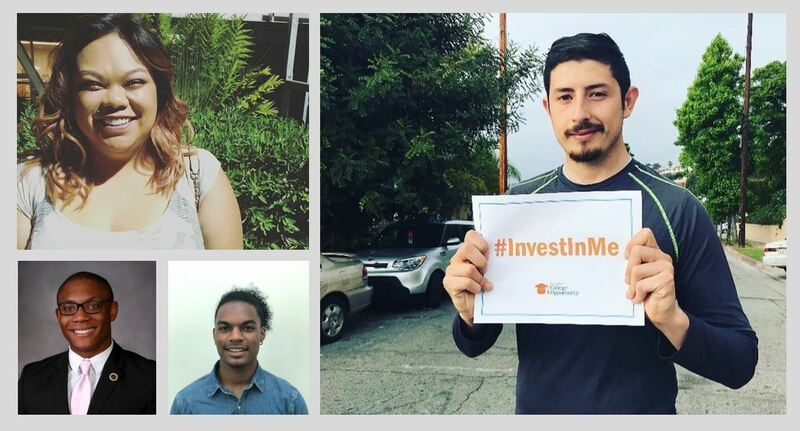 Read why more than 30 social justice, student, and business organizations support a Student-Centered Funding Formula. Read what equity leaders are saying about the funding formula.